2 JEEP COMPASS IN STOCK AND THEY HAVE ALL THE SAFETY FEATURES!!!!! CARFAX AVAILABLE NO ACCIDENTS!!!!! 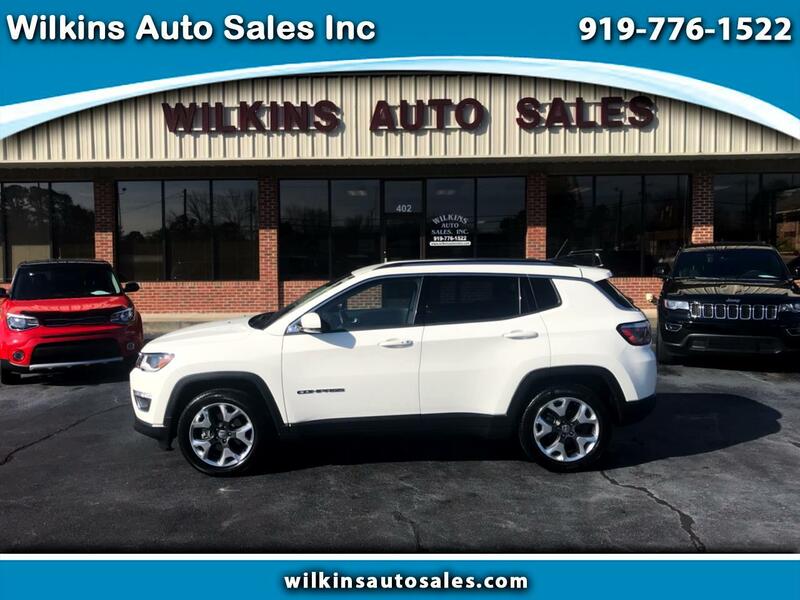 Here's a 2018 Jeep Compass LIMITED with 10,000 miles for only 22,500.00. This Jeep Compass LIMITED is loaded with options, here are just a few, keyless entry, remote start, premium alloy wheels, back up camera, back up sensors, power back hatch, lane change indicator, forward collision alert indicator, power heated leather seats, heated steering wheel, NAVIGATION, dual climate control and much more!!!!! COME BY AND SEE RUSS OR JEFF TODAY OR CALL US @ 919-776-1522!!!!!! !